Beijing : China on Tuesday confirmed that they have funded and built a first new rail line in post-independent Sri Lanka, with an aim to boost regional economic development. 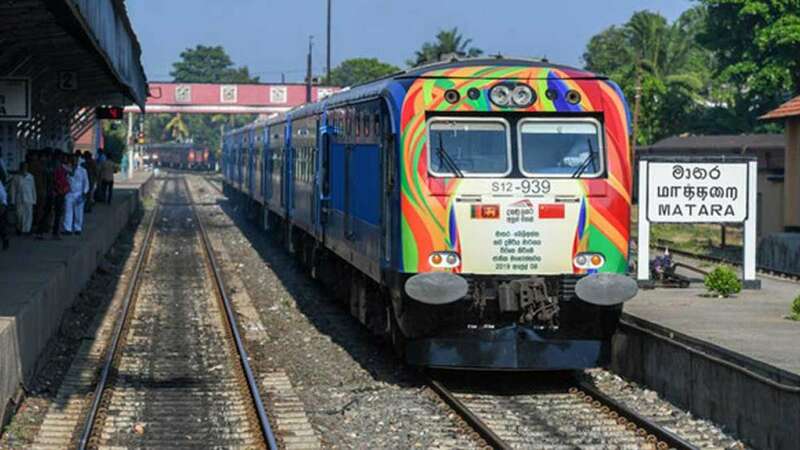 The new rail line, 26.75-km long, connects Matara and Beliatta in southern Sri Lanka. The project has been built by the China Railway Group 5 (CR5) and financed by the Export-Import (Exim) Bank of China. A major portion of the construction was carried out by China Railway Group 5 (CR5) and the Central Engineering Consultancy Bureau (CECB) which acted as the consultant,” the state media reported. The tracks are capable of carrying trains with a speed of 120 km per hour, highest in the country till date. "Yes, the phase one extension line of the southern railway in Sri Lanka is the first railway project contracted by a Chinese company in Sri Lanka under the Belt and Road Initiative (BRI) and it is indeed the first railway built after the country’s independence," foreign ministry spokesperson, Lu Kang said at the regular ministry briefing on Tuesday. In 1948, Sri Lanka has become an independent nation. When asked about how much money China pumped into the project, Lu said he didn’t know the funding amount. "But I can tell you that under the BRI, China encourages companies to engage in cooperation with other countries," he said.